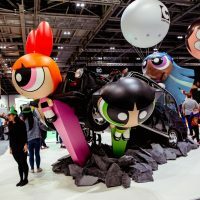 Home » Features » Features » MCM London Comic Con is Coming! Adults: from £17. Two children aged 5 and under are permitted free entry per paid-for ticket. After general entry has opened, two children aged 10 and under are permitted entry with each paid-for ticket. MCM London Comic Con is Coming! 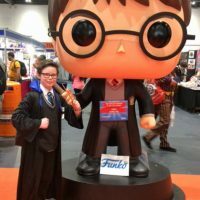 For confirmed geeks, it’s the go-to event of the year and for any sci-fi fan worth their salt, it’s the hottest ticket on the planet – yep, as May half-term approaches all thoughts of nerds, and the even nerdier, turn to MCM London Comic Con. For thousands of fans, enthusiasts and aficionados, Comic Con is a magical gathering of like-minded folk where you can cosplay as your favourite character without judgement (well, unless you’ve entered the Cosplay of the Year contest). Meet and greet some of your favourite celebrities through Q&A panels, guest appearances and private photo-ops. Seasoned visitors always come armed with a Sharpie! Known for the amazing quality and quanity of the celebrities, a host of popular stars, writers and creators flock to this prestigious convention. In recent years, we’ve been treated to two of Doctor Who’s best-loved companions – Donna Noble (Catherine Tate, giving an insight into one-time Doctor Ecclestone as ‘a bit ) and Billie Piper (Rose Tyler). For May 2018, we have big celebrities from cult favourite The Walking Dead with the royal King Ezekiel (Chary Payton) and Jerry (Cooper Andrews), plus, breaking out from their state penitentiary home in Orange is the new Black – surely for good behaviour – comes make-up mastery Youtuber Marisol Gonzales (Jackie Cruz) and laundry Tiffany “Pennsatuckett” Doggett (Taryn Manning). Who doesn’t love a chance to dress up and pretend to be a superhero? Comic Con is widely regarded for its abundance of absolutely amazing and quite honestly breath-taking cosplayers. There is absolutely no need to feel self-conscious because anything – and everything – goes. We’ve seen flashmobs of Doctor Who and stormtroopers, a bevy of Sailor Moons and a whole host of caped crusaders mingling with a myriad of Marvel characters. Even babes-in-arms have been known to don a stretch suit in homage of their favourite heroes. And should you have a wardrobe malfunction? No worries. Just swing by the Cosplay Clinic for a quick stitch-and-sew repair job. And if you think that your cosplay is so top-notch it could win prizes, better why not enter into the Cosplay Masquerade! The Cosplay Masquerade is London Comic Con’s competition where you can enter and try to ‘out-cosplay’ your competitors. Meanwhile, mini fans can earn their own MCM Comic Con cape by completing a treasure hunt and collecting stamps to claim their prize. 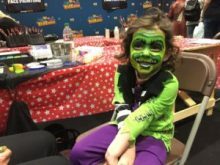 Not just for the grown-ups, London Comic Con is a great day out for all the family. Even better, kids go free! The KidZone has free face painting and tattoos for an instant superhero make-over, while there’s a chance to hone your swordsmanship skills at the Light Sabre Training session or plop into a beanbag and chill out in the cosy MCM Reading Corner, complete with tomes that make perfect reading for action-hero types. One of the reasons the cool kids flock to Comic Con is for those sweet MCM London Comic Con ‘exclusives’ that separates the boys from the superheroes. Fancy topping up your Funko Pop! Vinyl collection with some limited-edition show exclusives? You’ve come to the right place. 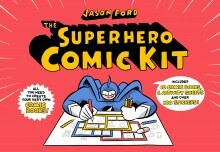 Comic Con has also released some pretty awesome merchandise. This year, Comic Con has really outdone themselves when it comes to there exclusive t-shirts. Now you can sport your love for Breaking Bad with a periodical table Tee or just make sure everyone knows ‘WE are the fans’.